Superdry women's Portland t-shirt dress. 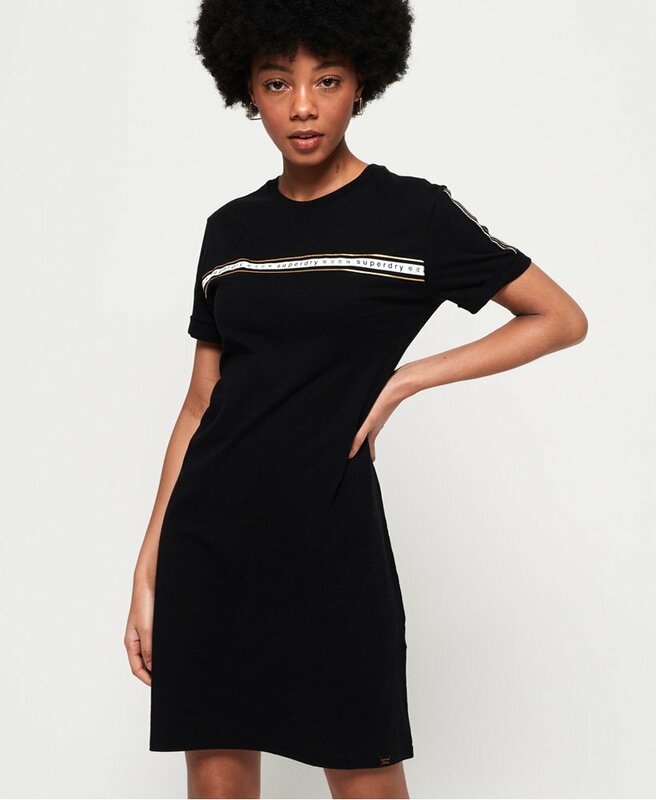 An easy piece for an instantly impactful look, this t-shirt dress features short rolled up sleeves and a Superdry logo graphic across the chest. Finished with striped detailing down the sleeves and a Superdry logo tab on the hem.